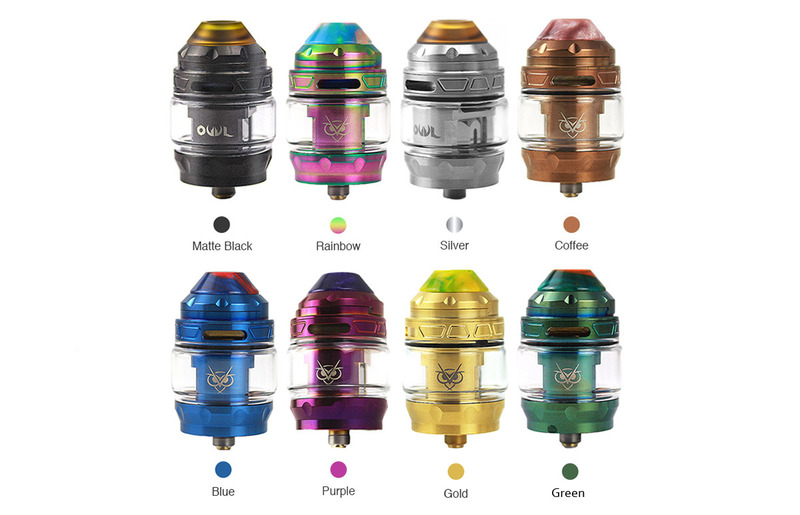 Advken OWL is a new flavor chasing subohm tank with a bullet shaped appearance and 4ml capacity. The Advken OWL tank is compatible with two types of mesh coil, the 0.16ohm and the 0.2ohm mesh coil, which could bring great flavor and huge clouds. It also features the top airflow system and top slide filling design for an optimal flavor and convenient operation. Plus the 810 PEI drip tip and a 3ml replacement glass tube, the Advken OWL is definitely a great choice for you.